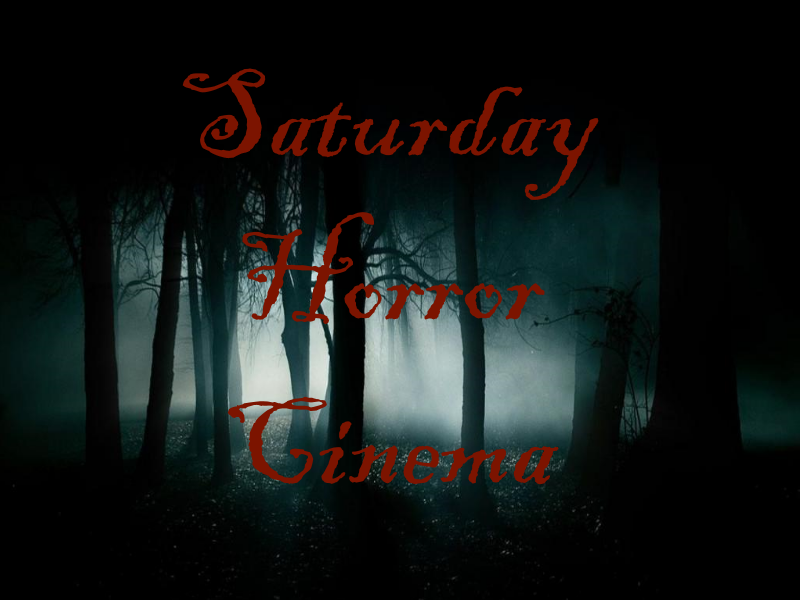 Saturday Horror Cinema has an urge. An urge to shop! Where should we go, though? 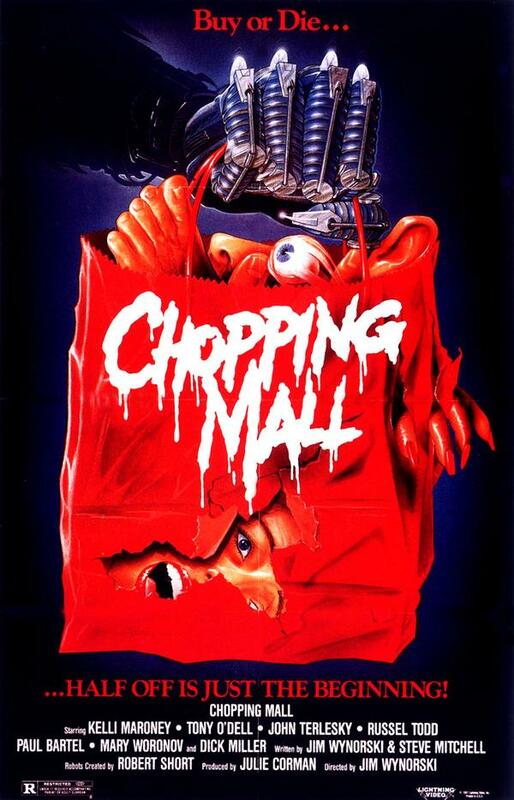 Wait, I know...let's go to the "Chopping Mall!" Released in 1986, this horror classic is a gory romp following all of the popular cliches of the time. Teenagers? Check. 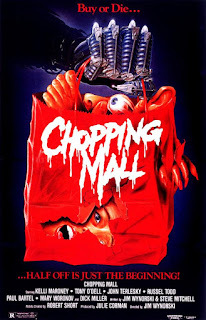 Shopping Mall? Check. Robots out of control? CHECK!